BJP also sought to highlight the 'pro-Dalit' character of the Sangh Parivar, recalling the close association of Hindutva ideologue Dattopant Thengadi with Babasaheb Ambedkar, and the PM Narendra Modi's thrust on construction of toilets. 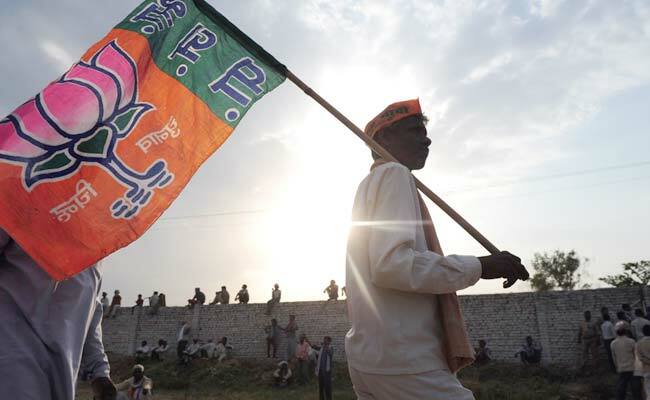 The BJP on Tuesday asserted that it would not allow dilution of the SC-ST Act "at any cost" and lambasted opposition parties for "spreading rumours" that the Narendra Modi government was planning to scrap reservations for backward classes. "The (Narendra) Modi government gave more teeth to the SC/ST Act when, in 2016, it amended the law and brought 47 offences under its ambit as against the previous number of only 24. The Supreme Court order, diluting the Act, was challenged promptly and if no relief is granted, the centre is ready to opt for the legislative route," senior party leader and Bihar Deputy Chief Minister Sushil Kumar Modi said. Addressing a workshop of the party's Scheduled Caste wing, the deputy chief minister said the party will not allow scrapping of reservations "at any cost" and that it has always favoured introducing quotas in promotions, which was introduced by the Atal Bihari Vajpayee government. Later at a press conference, the party's national spokesman Bizay Sonkar Shastri said, "The BJP will not allow the scrapping of reservations or the dilution of the SC/ST Act at any cost. Rumours to this effect are being spread by the opposition out of desperation." "This is the first time the country has a government that is sensitive to issues concerning Dalits like manual scavenging and lower classes' inability to avail banking services. Narendra Modi government has introduced schemes to address these problems which the Congress ignored for decades," Mr Shastri alleged. He said, "Reservations were introduced by virtue of Ambedkar's vision. Today, even if Ambedkar himself reincarnates and tries to scrap reservations, he cannot do that. All the allegations about the BJP-RSS making such plans are lies," Mr Shastri alleged. "We want to warn Dalits against a sinister campaign to brand them as being outside the Hindu fold. It is a fact that those Hindus, who were victims of untouchability, undoubtedly a social evil, had been assigned the status of Scheduled Castes. Now, when efforts are on to set right the historical wrongs, Dalits must not be fooled by those who are interested only in getting their votes," Mr Shastri added.